← Why has Craighouse been sold to an Offshore Company? The proposed Craighouse development is funded by Mountgrange. Many people in Edinburgh will know Mountgrange because of the failed Caltongate development. While we were out collecting signatures for our petition , someone came up to us and said they had been looking into Mountgrange and couldn’t find any development projects that Mountgrange had funded to completion. 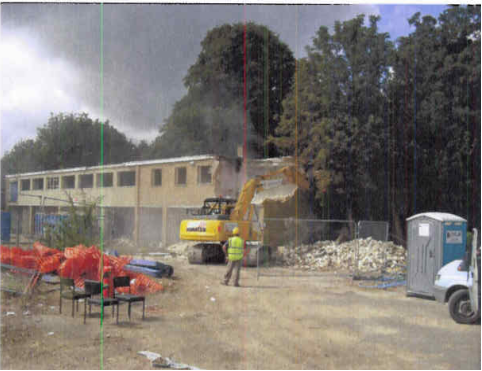 That seemed strange, so we checked, and came up with the same problem: despite having several projects with planning permission for several years, we couldn’t find any projects that Mountgrange had funded much development for, beyond a little demolition. This seemed unlikely, so, when we met the developers recently, we asked what projects Mountgrange had funded in the past. When they listed three very impressive-sounding projects, we thought: great, mystery solved. But then we looked those projects up, and discovered that the three projects we had been told about in our meeting were funded by Imry, a company that Mountgrange’s founders started in the eighties. Imry was funded by Barclays bank and bought by Wolfgang Stoltzenberg’s Castor Holdings group of companies. Barclays were said to have suffered their biggest ever loan loss (£240m) when Imry collapsed, and Interpol still has an arrest warrant out for Stolzenberg. There is no suggestion that Moungrange’s founders knew about Stolzenberg’s activities, but combined with their other past funding problems, it does highlight a difficulty they may have in funding an ambitious scheme at Craighouse. Craighouse is funded by “Mountgrange Real Estate Opportunity Fund”, or MoREOF for short. This is a different fund to Mountgrange Capital, the development company that went into administration in March 2009, bringing down projects like Caltongate in the Old Town, and helping to force HBOS into a government rescue. But, although the two funds are mostly legally separate, Mountgrange Capital helped set up MoREOF, and both were created by the same people, Martin Myers and Manish Chande. During the property boom years, Mountgrange Capital took on some large property development projects. It was easier to get hold of bank funding for property development in those years. The Bank of Scotland withdrew its funding in 2009, putting Mountgrange Capital into administration. What is harder to explain is why there is a three year gap from planning permission to collapse, without any apparent development starting. In the case of Caltongate, this can be explained by a strong local campaign, but that doesn’t seem to explain the failure to start their office building in Maidstone. In late 2006, as the credit markets hit their peak and started to look shaky, Mountgrange Capital’s directors started setting up “an equity property fund so that the Group is able to take advantage of the investment opportunities identified by the directors but previously have not been able to take advantage of due to the restrictions of the corporate structure and funding levels” (from their accounts at the time). They took over £15m out of Mountgrange Capital as a dividend, and used over £2m of the funds that Mountgrange Capital had available to start an off-shore fund based in the Isle of Man. Being off-shore enables them to legally avoid some UK taxes, as well as providing some protection from Mountgrange Capital’s creditors. This does seem to put a different light on the question of why HBOS pulled the plug on their £70m of loans to Mountgrange in 2009. The new fund is not totally separate from Mountgrange Capital. They are connected via Mountgrange UK Ltd, which is a corporate partner in the new fund’s management company, and which Mountgrange Capital’s administrators, Deloitte, have allowed to continue trading, despite it being a guarantor of the £70m loans owed to Bank of Scotland. Part of the stated strategy of the new fund is to create a “business platform”, whereby they not only own a property, but also provide a service. We can see this strategy clearly in their desire to create a service charge for all of the residential properties in the Craighouse development. This service charge is a long-term profit opportunity, even if the individual properties themselves cannot be sold for a high price in current market conditions. The most relevant statement about the Craighouse development seems to come from their partner Nick Berry who said “We would look at strategic land purchases where we could work up planning and sell or develop it out. That way there are two exits available.” What this means for Craighouse is that Mountgrange might fund the development itself, or might sell the site on to another developer. That may mean considerable delays to the project, and may mean that the developer that finally buys the site demands changes to the plans before starting the work. MoREOF raised £300m from investors, and expects to borrow a further £550m from banks, making a total fund size of £850m. 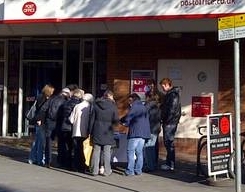 This does not necessarily mean that they have £850m in the bank (very unlikely). The £300m from investors is called “committed equity”, which normally means that Mountgrange only get the cash from the investors when they have something suitable to invest in. In the current financial climate it is certainly possible that Mountgrange’s investors might not be willing or able to provide the full £300m, although that is unusual. What is more doubtful is the bank funding. Borrowing £550m from banks for undeveloped property, especially when the property is owned by an off-shore trust, is tough right now. In the past, the founders have brought about huge losses on loans with two major UK banks. Any bank lender would likely have some difficult questions about the losses on previous loans. With Napier having already obtained a “charge” notice on the property (to protect Napier if Mountgrange don’t pay Napier all the money they owe), it seems very hard for Mountgrange to borrow to fund the Craighouse development. It may be possible, once planning permission is obtained, for Napier to fully release the land (maybe for a further fee) and for Mountgrange to borrow to develop the project. We don’t yet know the terms of the deal with Napier to be able to answer this, but we do know that Napier still have a financial interest in the development. Mountgrange is run by two well-known property entrepreneurs: Manish Chande and Martin Myers. They have a long record of businesses in property development and services. Their biggest success was Trillium, a property services company which managed the DSS’s properties. There was some controversy as, according to the Daily Telegraph, the DSS’s estates manager sold the estate to Trillium, then became a Trillium executive, and was then hired by the National Audit Office to check Trillium’s dealings. Before that, they ran Imry, a property developer that got into such a financial mess, it caused Barclays to write-off the largest bad-debt in its history. The Save our Old Town campaign insist that Manish Chande is good friends with Malcolm Cooper,a former Chief Inspector of Historic Scotland. Mountgrange also work very closely with their lobbyists, Invicta PA, who are supposed to be creating political support for the development. Caltongate was Mountgrange’s most controversial project. It involved the demolition of 2 listed buildings on the Royal Mile. The development has been on hold for several years, despite widespread political support. The opposition to the project was from local people and heritage groups. To help the development the council left 18 of its flats empty, costing the council over £100K, which may seem irrelevant compared with the nearly £70m Lloyds HBOS is trying to recover. Spri ngfield Park in Maidstone, now renamed Springfield Square, was a commercial and residential development that Mountgrange received planning permission for in 2006. By 2009, little development work had started, but enough for Maidstone Council to keep the planning permission going for a while longer so that Dunsfold Developments could buy the project and restart it at some point in the future. 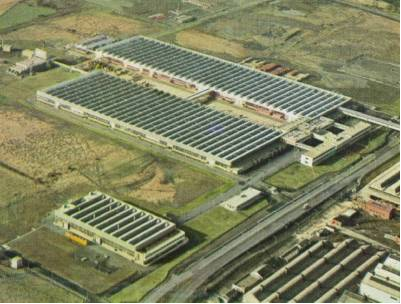 Phoenix Park was a proposed development near Glasgow airport on the si te of the former Hillman Imp car factory. Mountgrange received planning permission in 2009 but were unable to start construction due to their financial problems. It has since been sold by the administrators to Miller Developments who plan to take the development forward to construction. Mountgrange currently own a site near Peterborough which is expected to have a biomass energy from waste plant built on it. And they have recently bought a property development that was already underway. Mountgrange’s other current projects are mostly purchases of property becoming available for a good price in the economic downturn. The business in these cases is mostly focused on rental incomes, managing their capital, and providing services on top. We see little evidence of much development taking place within these projects, apart from a few smaller adaptations. Imry was involved in development projects such as an office block on the former site of the Rose Theatre where Shakespeare put on some of his early plays. 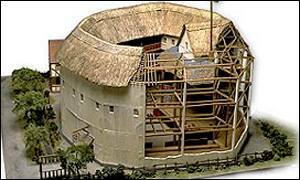 The remains of the theatre was preserved under concrete under the office development after a campaign involving actors such as Lawrence Olivier and Peggy Ashcroft as well as debates in the House of Lords. Part of the result was a change in the law governing archaeological excavations in construction projects. New owners have since helped the Rose become a tourist site and there are ambitious plans for the future. Mountgrange took on 3 large property development projects over the last decade. In all 3 cases, the plans were highly ambitious, contentious, and ultimately failed. Their plans always seemed to have good political support, and in Edinburgh political support was helped through their lobbyists (Invicta PA). But ultimately, Mountgrange were unable to fund their plans. This failure could be seen as being symptomatic of a wider economic problem, and outside Mountgrange’s control. 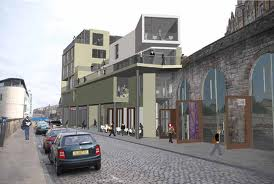 But with Caltongate, in particular, Mountgrange had several years to get the project started, which they wasted through unnecessary arguments with the local community. At Springfield Park, there seems no obvious reason why the project was not funded. Given the scale of the failure of Imry in the early 90s, and then Mountgrange Capital in 2009, there is a clear pattern of excessive borrowing and financial failure. It is hard to see a bank lending money given the high losses incurred by banks from the collapse of Imry and Mountgrange Capital. This makes it hard to see how MoREOF could fund any development at Craighouse with the level of bank funding that they hope for. With the Craighouse plan, Mountgrange have demonstrated that they have learnt little from their past experiences. By proposing an excessive level of development, that is unlikely to pass either the council’s official policies, or receive popular support, they are yet again wasting the time of their funders and leaving valuable capital lying idle. The Craighouse development, under Mountgrange’s management, seems destined to fail for exactly the same reasons as all their previous projects. We think Mountgrange, like Sundial, should stick to the projects they know well, their core business. They should stay away from controversial developments, however exciting they may seem to an investor. Mountgrange’s team have repeatedly demonstrated they do not have the skills or experience to pull this one off. This entry was posted in Mountgrange. Bookmark the permalink.